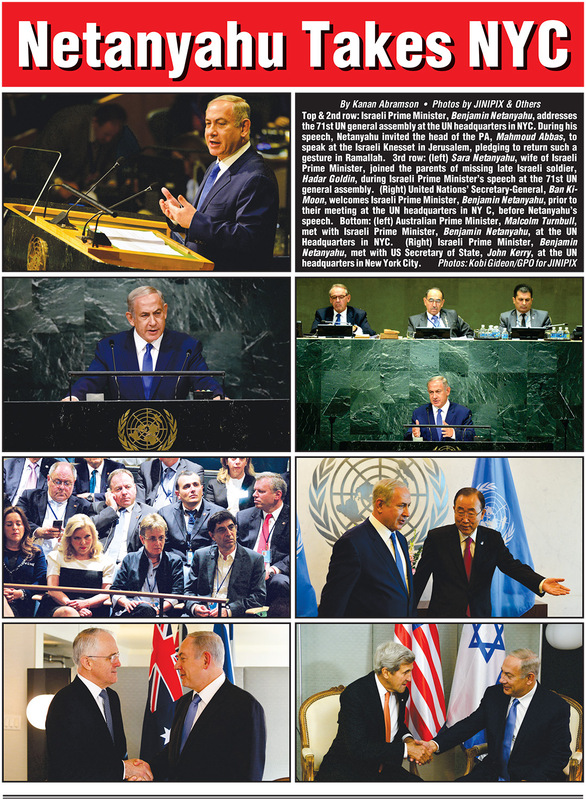 The following is the speech of Israeli Prime Miniser Benjamin to the UN General Assembly, September 22, 2016. Mr. President, ladies and gentlemen, what I'm about to say is going to shock you: Israel has a bright future at the UN. Now I know that hearing that from me must surely come as a surprise, because year after year I've stood at this very podium and slammed the UN for its obsessive bias against Israel. And the UN deserved every scathing word for the disgrace of the General Assembly that last year passed 20 resolutions against the democratic state of Israel and a grand total of three resolutions against all the other countries on the planet. More and more nations in Asia, in Africa, in Latin America, more and more nations see Israel as a potent partner - a partner in fighting the terrorism of today, a partner in developing the technology of tomorrow. Today Israel has diplomatic relations with over 160 countries. That's nearly double the number that we had when I served here as Israel's ambassador some 30 years ago. And those ties are getting broader and deeper every day. World leaders increasingly appreciate that Israel is a powerful country with one of the best intelligence services on earth. Because of our unmatched experience and proven capabilities in fighting terrorism, many of your governments seek our help in keeping your countries safe. Many also seek to benefit from Israel's ingenuity in agriculture, in health, in water, in cyber and in the fusion of big data, connectivity and artificial intelligence - that fusion that is changing our world in every way. Governments are changing their attitudes towards Israel, because they know that Israel can help them protect their peoples, can help them feed them, can help them better their lives. This summer I had an unbelievable opportunity to see this change so vividly during an unforgettable visit to four African countries. This is the first visit to Africa by an Israeli prime minister in decades. Later today, I'll be meeting with leaders from 17 African countries. We'll discuss how Israeli technology can help them in their efforts to transform their countries. In Africa, things are changing. In China, India, Russia, Japan, attitudes towards Israel have changed as well. These powerful nations know that, despite Israel's small size, it can make a big difference in many, many areas that are important to them. So Israel's diplomatic relations are undergoing nothing less than a revolution. But in this revolution, we never forget that our most cherished alliance, our deepest friendship, is with the United States of America, the most powerful and the most generous nation on earth. Our unbreakable bond with the United States of America transcends parties and politics. It reflects, above all else, the overwhelming support for Israel among the American people, support which is at record highs and for which we are deeply grateful. Ladies and Gentlemen: Today's automatic majority against Israel at the UN reminds me of the story, the incredible story of Hiroo Onada. Hiroo was a Japanese soldier who was sent to the Philippines in 1944. He lived in the jungle. He scavenged for food. He evaded capture. Eventually he surrendered, but that didn't happen until 1974, some 30 years after World War II ended. For decades, Hiroo refused to believe the war was over. As Hiroo was hiding in the jungle, Japanese tourists were swimming in pools in American luxury hotels in nearby Manila. Finally, mercifully, Hiroo's former commanding officer was sent to persuade him to come out of hiding. Only then did Hiroo lay down his arms. Ladies and Gentlemen, distinguished delegates from so many lands, I have one message for you today: Lay down your arms. 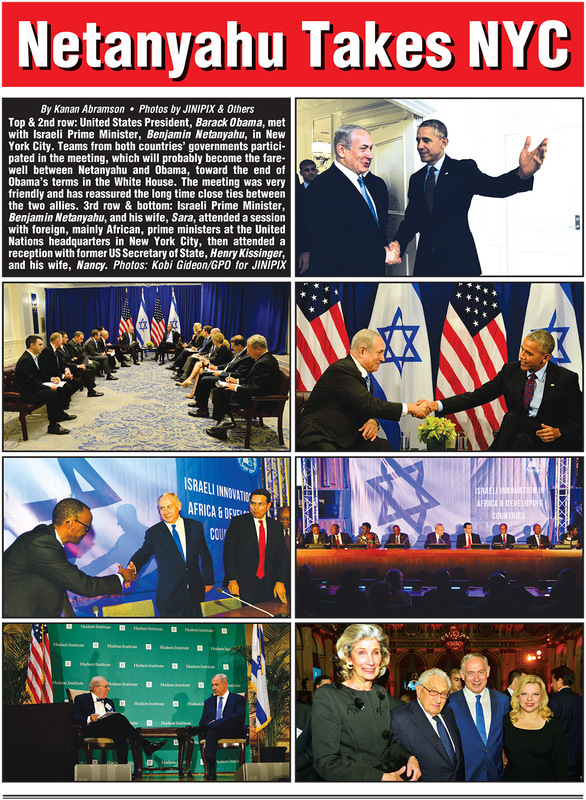 The war against Israel at the UN is over. Perhaps some of you don't know it yet, but I am confident that one day, in the not-too-distant future, you will also get the message from your president or from your prime minister informing you that the war against Israel at the United Nations has ended. Yes, I know, there might be a storm before the calm. I know there is talk about ganging up on Israel at the UN later this year. Given its history of hostility towards Israel, does anyone really believe that Israel will let the UN determine our security and our vital national interests? But regardless of what happens in the months ahead, I have total confidence that in the years ahead, the revolution in Israel's standing among the nations will finally penetrate this hall of nations. I have so much confidence, in fact, that I predict that a decade from now an Israeli prime minister will stand right here where I am standing and actually applaud the UN. But I want to ask you: Why do we have to wait a decade? Why keep vilifying Israel? Perhaps because some of you don't appreciate that the obsessive bias against Israel is not just a problem for my country; it's a problem for your countries, too. Because if the UN spends so much time condemning the only liberal democracy in the Middle East, it has far less time to address war, disease, poverty, climate change and all the other serious problems that plague the planet. Are the half million slaughtered Syrians helped by your condemnation of Israel? The same Israel that has treated thousands of injured Syrians in our hospitals, including a field hospital that I built right along the Golan Heights border with Syria. Are the gays hanging from cranes in Iran helped by your denigration of Israel? That same Israel where gays march proudly in our streets and serve in our parliament, including I'm proud to say in my own Likud party. Are the starving children in North Korea's brutal tyranny, are they helped by your demonization of Israel? Israel, whose agricultural knowhow is feeding the hungry throughout the developing world? The sooner the UN's obsession with Israel ends, the better. The better for Israel, the better for your countries, the better for the UN itself. Ladies and Gentlemen: If UN habits die hard, Palestinian habits die even harder. President Abbas just attacked from this podium the Balfour Declaration. He's preparing a lawsuit against Britain for that declaration from 1917. That's almost 100 years ago - talk about being stuck in the past. The Palestinians may just as well sue Iran for the Cyrus Declaration, which enabled the Jews to rebuild our Temple in Jerusalem 2,500 years ago. Come to think of it, why not a Palestinian class action suit against Abraham for buying that plot of land in Hebron where the fathers and mothers of the Jewish people were buried 4,000 years ago? You're not laughing. It's as absurd as that. To sue the British government for the Balfour Declaration? Is he kidding? And this is taken seriously here? President Abbas attacked the Balfour Declaration because it recognized the right of the Jewish people to a national home in the land of Israel. When the United Nations supported the establishment of a Jewish state in 1947, it recognized our historical and our moral rights in our homeland and to our homeland. Yet today, nearly 70 years later, the Palestinians still refuse to recognize those rights - not our right to a homeland, not our right to a state, not our right to anything. And this remains the true core of the conflict, the persistent Palestinian refusal to recognize the Jewish state in any boundary. You see, this conflict is not about the settlements. It never was. The conflict raged for decades before there was a single settlement, when Judea Samaria and Gaza were all in Arab hands. The West Bank and Gaza were in Arab hands and they attacked us again and again and again. And when we uprooted all 21 settlements in Gaza and withdrew from every last inch of Gaza, we didn't get peace from Gaza - we got thousands of rockets fired at us from Gaza. This conflict rages because for the Palestinians, the real settlements they're after are Haifa, Jaffa and Tel Aviv. Now mind you, the issue of settlements is a real one and it can and must be resolved in final-status negotiations. But this conflict has never been about the settlements or about establishing a Palestinian state. It's always been about the existence of a Jewish state, a Jewish state in any boundary. Ladies and Gentlemen: Israel is ready - I am ready - to negotiate all final-status issues. But one thing I will never negotiate: our right to the one and only Jewish state. Now here's the tragedy, because, see, the Palestinians are not only trapped in the past; their leaders are poisoning the future. I want you to imagine a day in the life of a 13-year-old Palestinian boy. I'll call him Ali. Ali wakes up before school; he goes to practice with a soccer team named after Dalal Mughrabi, a Palestinian terrorist responsible for the murder of a busload of 37 Israelis. At school, Ali attends an event sponsored by the Palestinian Ministry of Education honoring Baha Alyan, who last year murdered three Israeli civilians. On his walk home, Ali looks up at a towering statue erected just a few weeks ago by the Palestinian Authority to honor Abu Sukar, who detonated a bomb in the center of Jerusalem, killing 15 Israelis. When Ali gets home, he turns on the TV and sees an interview with a senior Palestinian official, Jibril Rajoub, who says that if he had a nuclear bomb, he'd detonate it over Israel that very day. Ali then turns on the radio and he hears President Abbas's adviser, Sultan Abu al-Einein, urging Palestinians, here's a quote, "to slit the throats of Israelis wherever you find them." Ali checks his Facebook and he sees a recent post by President Abbas's Fatah Party calling the massacre of 11 Israeli athletes at the Munich Olympics a "heroic act." On YouTube, Ali watches a clip of President Abbas himself saying, "We welcome every drop of blood spilled in Jerusalem." Direct quote. Over dinner, Ali asks his mother what would happen if he killed a Jew and went to an Israeli prison. Here's what she tells him. She tells him he'd be paid thousands of dollars each month by the Palestinian Authority. In fact, she tells him, the more Jews he would kill, the more money he'd get. Oh, and when he gets out of prison, Ali would be guaranteed a job with the Palestinian Authority. Ladies and Gentlemen: All this is real. It happens every day, all the time. Sadly, Ali represents hundreds of thousands of Palestinian children who are indoctrinated with hate every moment, every hour. Imagine your child undergoing this brainwashing. Imagine what it takes for a young boy or girl to break free out of this culture of hate. Some do but far too many don't. How can any of us expect young Palestinians to support peace when their leaders poison their minds against peace? We in Israel don't do this. We educate our children for peace. In fact, we recently launched a pilot program, my government did, to make the study of Arabic mandatory for Jewish children so that we can better understand each other, so that we can live together side-by-side in peace. Of course, like all societies, Israel has fringe elements. But it's our response to those fringe elements, it's our response to those fringe elements that makes all the difference. Take the tragic case of Ahmed Dawabsha. I'll never forget visiting Ahmed in the hospital just hours after he was attacked. A little boy, really a baby, he was badly burned. Ahmed was the victim of a horrible terrorist act perpetrated by Jews. He lay bandaged and unconscious as Israeli doctors worked around the clock to save him. No words can bring comfort to this boy or to his family. Still, as I stood by his bedside, I told his uncle, "This is not our people. This is not our way." I then ordered extraordinary measures to bring Ahmed's assailants to justice and today the Jewish citizens of Israel accused of attacking the Dawabsha family are in jail awaiting trial. But what Ahmed's story actually proves is the very opposite. It illustrates the profound difference between our two societies, because while Israeli leaders condemn terrorists, all terrorists, Arabs and Jews alike, Palestinian leaders celebrate terrorists. While Israel jails the handful of Jewish terrorists among us, the Palestinians pay thousands of terrorists among them. So I call on President Abbas: you have a choice to make. You can continue to stoke hatred as you did today, or you can finally confront hatred and work with me to establish peace between our two peoples. Ladies and Gentlemen: I hear the buzz. I know that many of you have given up on peace. But I want you to know - I have not given up on peace. I remain committed to a vision of peace based on two states for two peoples. I believe as never before that changes taking place in the Arab world today offer a unique opportunity to advance that peace. I commend President el-Sisi of Egypt for his efforts to advance peace and stability in our region. Israel welcomes the spirit of the Arab peace initiative and welcomes a dialogue with Arab states to advance a broader peace. I believe that for that broader peace to be fully achieved the Palestinians have to be part of it. I'm ready to begin negotiations to achieve this today - not tomorrow, not next week, today. President Abbas spoke here an hour ago. Wouldn't it be better if instead of speaking past each other we were speaking to one another? President Abbas, instead of railing against Israel at the United Nations in New York, I invite you to speak to the Israeli people at the Knesset in Jerusalem. And I would gladly come to speak to the Palestinian parliament in Ramallah. Ladies and Gentlemen: While Israel seeks peace with all our neighbors, we also know that peace has no greater enemy than the forces of militant Islam. The bloody trail of this fanaticism runs through all the continents represented here. It runs through Paris and Nice, Brussels and Baghdad, Tel Aviv and Jerusalem, Minnesota and New York, from Sydney to San Bernardino. So many have suffered its savagery: Christian and Jews, women and gays, Yazidis and Kurds and many, many others. Ladies and Gentlemen: Israel fights this fateful battle against the forces of militant Islam every day. We keep our borders safe from ISIS; we prevent the smuggling of game-changing weapons to Hezbollah in Lebanon; we thwart Palestinian terror attacks in Judea and Samaria - the West Bank - and we deter missile attacks from Hamas-controlled Gaza. That's the same Hamas terror organization that cruelly, unbelievably cruelly, refuses to return three of our citizens and the bodies of our fallen soldiers, Oron Shaul and Hadar Goldin. Hadar Goldin's parents, Leah and Simcha Goldin, are here with us today. They have one request - to bury their beloved son in Israel. All they ask for is one simple thing - to be able to visit the grave of their fallen son, Hadar, in Israel. Hamas refuses. They couldn't care less. I implore you to stand with them, with us, with all that's decent in our world against the inhumanity of Hamas - all that is indecent and barbaric. Hamas breaks every humanitarian rule in the book, throw the book at them. Ladies and Gentlemen: The greatest threat to my country, to our region and ultimately to our world remains the militant Islamic regime of Iran. Iran openly seeks Israel's annihilation. It threatens countries across the Middle East, it sponsors terror worldwide. This year, Iran has fired ballistic missiles in direct defiance of Security Council Resolutions. It has expended its aggression in Iraq, in Syria, in Yemen. Iran, the world's foremost sponsor of terrorism, continued to build its global terror network. That terror network now spans five continents. So my point to you is this: The threat Iran poses to all of us is not behind us; it's before us. In the coming years, there must be a sustained and united effort to push back against Iran's aggression and Iran's terror. With the nuclear constraints on Iran one year closer to being removed, let me be clear: Israel will not allow the terrorist regime in Iran to develop nuclear weapons - not now, not in a decade, not ever. Ladies and Gentlemen: I stand before you today at a time when Israel's former president, Shimon Peres, is fighting for his life. Shimon is one of Israel's founding fathers, one of its boldest statesmen, one of its most respected leaders. I know you will all join me and join all the people of Israel in wishing him refuah shlemah, Shimon, a speedy recovery. I've always admired Shimon's boundless optimism, and like him, I too am filled with hope. I am filled with hope, because Israel is capable of defending itself by itself against any threat. I am filled with hope, because the valor of our fighting men and women is second to none. I am filled with hope, because I know the forces of civilization will ultimately triumph over the forces of terror. I am filled with hope, because in the age of innovation, Israel - the innovation nation - is thriving as never before. I am filled with hope, because Israel works tirelessly to advance equality and opportunity for all its citizens: Jews, Muslims, Christians, Druze, everyone. And I am filled with hope, because despite all the naysayers, I believe that in the years ahead, Israel will forge a lasting peace with all our neighbors. Ladies and Gentlemen: I am hopeful about what Israel can accomplish because I've seen what Israel has accomplished. In 1948, the year of Israel's independence, our population was 800,000. Our main export was oranges. People said then we were too small, too weak, too isolated, too demographically outnumbered to survive, let alone thrive. The skeptics were wrong about Israel then; the skeptics are wrong about Israel now. Israel's population has grown tenfold, our economy fortyfold. Today our biggest export is technology - Israeli technology, which powers the world's computers, cellphones, cars and so much more. Ladies and Gentlemen: The future belongs to those who innovate, and this is why the future belongs to countries like Israel. Israel wants to be your partner in seizing that future, so I call on all of you: Cooperate with Israel, embrace Israel, dream with Israel. Dream of the future that we can build together, a future of breathtaking progress, a future of security, prosperity and peace, a future of hope for all humanity, a future where even at the UN, even in this hall, Israel will finally, inevitably, take its rightful place among the nations. The address delivered by Mahmad Abbas, head of the PA & PLO on Sept. 22 at the United Nations General Assembly was a game-changer. Abbas stood up for the whole world to hear him declare that the consistent PLO definition of "conquered territories" and "illegal settlements", was not confined to Jerusalem, Judea, Samaria and Gaza. "The Security Council determine as a threat to the peace, breach of the peace or act of aggression, in accordance with Article 39 of the Charter, any attempt to alter by force the settlement envisaged by this resolution. Regrettably, however, the Security Council is not upholding its responsibilities to hold Israel accountable for its seizure of the territory allotted to the Palestinian State according to the partition resolution". The Abbas UNGA speech fits in with the forgotten yet consistent US State Department policy, which never ever recognized Israel's post-1948 settlement of shdod, Ashelon and BeersSheva and other areas of the Negev that were never included in the 1947 partition plan. In that context, the US fully funds UNRWA education whose focus is the "right of return" to all villages lost to the Arabs in the wake of the 1948 war. Personal and professional note: In 1966, as a 16 year old high school student in Philadelphia, I participated in a World Affairs Council seminar on US Middle East policies. The US State Department representatives at that event 50 years ago made it clear that the US opposed to Israel's "illegal settlement policies in the Negev", and that Israel must recognize the principle of the "right of return" for the Arab refugees who were housed in "temporary" UNRWA facilities in Gaza, contiguous to the Negev. Twenty years later, I had the privilege to meet Dr. Joseph Lerner, who worked as an official in the department of emergency preparedness in the White House. Dr. Lerner relocated to Israel in 1986, and founded Imra.org.il, and lived until 2006. Dr. Lerner always mentioned that the US passionately opposed Israeli settlement policies in the Negev as a cornerstone of US Middle East policy. Dr. Lerner would often say that while the US toned down its rhetoric on its in-principle opposition to Israeli settlement in the Negev after further Israeli acquisition of territory after the June 1967 war, but that the US Negev policy never changed . Israel's disrespect and contemptuous policies have even lead to attempts to -legalize- the settlements and the settlers colonizing our occupied land since 1967. It even led to the point of the Israeli Prime Minister claiming that the call for cessation of settlements and their dismantlement and evacuating settlers constitutes -ethnic cleansing-. All such attempts are null and void and constitute clear grave breaches under international law. Israel today also continues its attempts to evade an international conference for peace, which has been proposed by France and which has received the support of the majority of the world's countries. In June of this year a ministerial meeting was held in Paris to prepare for the convening of such a conference and 28 countries, along with three inter-governmental organizations, participated in that meeting. It remains our hope that such a conference will lead to the establishment of a mechanism and defined timeframe for an end to the occupation in accordance with the relevant resolutions of international legitimacy, the principle of land for peace and the Arab Peace Initiative, which calls, inter alia, for a just and agreed solution for the Palestine refugees in accordance with resolution 194.